The cellular pertussis vaccine in use in the early 1990’s (when my kids were vaccinated) had fairly nasty effects – it usually led to a two to four day sickness and mild fever in the baby. I presume the earlier vaccines were as bad. Since our local clinics offered infant vaccination on Tuesday or Wednesday evenings for working parents, that meant a couple of days off work looking after a sick child – they couldn’t go to childcare while they were feverish, and who wants to send a sick, miserable child to childcare anyway? That vaccine also was only about 80% protective. I sympathise with those who didn’t want that immediate, known problem in an attempt to reduce a low probability problem. I’m not saying they were right, but the acellular (manufactured proteins not killed bacteria) vaccine was a big improvement. I paid for the acellular vaccine myself for the second and third kids rather than have the cellular one’s hassles. 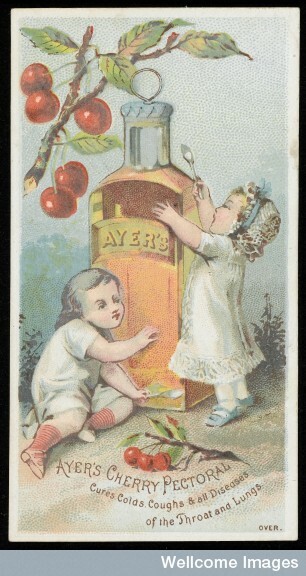 A year or so later the Australian government included the acellular pertussis vaccine on the free vaccination schedule. I feel this delay is an example of the habit of public infant vaccination programs in Australia paying too little attention to the costs and problems put on working parents. Anti-vaccine movements have had some beneficial effects. Their call for safer vaccines underscored the need for acellular vaccines against pertussis, and their efforts have encouraged surveillance of adverse events and development of vaccine-injury compensation programmes. –and the authors make a number of other comments comparing the acellular to the whole-cell vaccine. The whole-cell vaccine is probably a good example of the cost/benefit tradeoffs that have to be made in vaccine development. The worse the disease, the more side-effects can be tolerated in a vaccine. Vaccinia virus (the classic vaccine) has (as vaccines go) a terrible safety record, with severe adverse reactions ranging up to 1/300,000 (as I recall); but of course the risk of smallpox was so much higher that the overall benefit of vaccinia was obvious. Pertussis is also serious enough that a relatively high rate of adverse reactions was tolerable at the population level. For other diseases that have lower rates of complication (chicken pox, perhaps, is a good example here) the adverse reaction rate would have to be much lower to tilt the cost-benefit analysis. The debate about vaccination is not always straight forward but it is important to receive the news good or bad. If it is wrong then we need to prove its wrong. Andrew says too many vaccinations at one time? DTP alone has killed say 39 by one yardstick; with one other vaccine at the same time the rate is more than 10 fold at 164, and add yet a third vaccine and it doubles again to 368 deaths from overload of vaccines? Where is the proof that multivaccinations are not a problem? The idea that we can withstand 10 000 and not be overloaded is shown to be a lie by the figures of the US Government above. For my money Andrew has hit the nail on the head lets look and not have preconceived ideas that people foist on us. One death compares how to hundreds of vaccine related deaths? 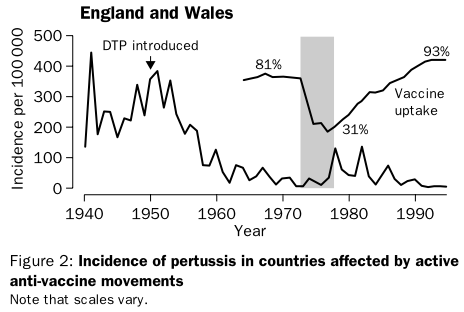 And yes, pertussis vaccines – we need – but what has happened to tuberculosis which kills hundreds in the UK and the vaccine seems not to work. Can’t we get the old vaccines working before starting on illnesses that didn’t exist when I was young. As the prevalence of a disease drops, the socially acceptable level of negative effects also drops, so there is a need for ongoing research into improved vaccines etc. Combined DTP and MMR vaccines were part of this response – reducing the number of times children have to present for vaccination and the number of injections each time. Stopping vaccinations once diseases are wiped out in a country is another method – with the benefit of fewer vaccination effects balanced against increased risks if/when the disease is reintroduced to the area. In Australia we no longer have universal vaccination against Tuberculosis partly beause the disease is now uncommon here. I don’t know where John Fryer gets his information from – I know there is serious research into the effects of combining vaccines and how to achieve maximum public health benefits with minimum risks. The US vaccine-injury compensation programme sounds potentially very sensible – helping people who suffer the rare adverse effects as part of promoting herd immunity. It is also potentially abused by claiming for incidents which are not caused by the vaccine. The argument against it that I like least is that is encourages negative perceptions of vaccination by admitting serious effects can occur. Thanks for the quote about the beneficial effects of the call for safer vaccines.